This TPD adopts a model of teachers as learners, designers, innovators and reflective practitioners. As part of this TPD teachers are divided and are asked to work in different design groups, organized according to discipline and level of teaching (e.g. 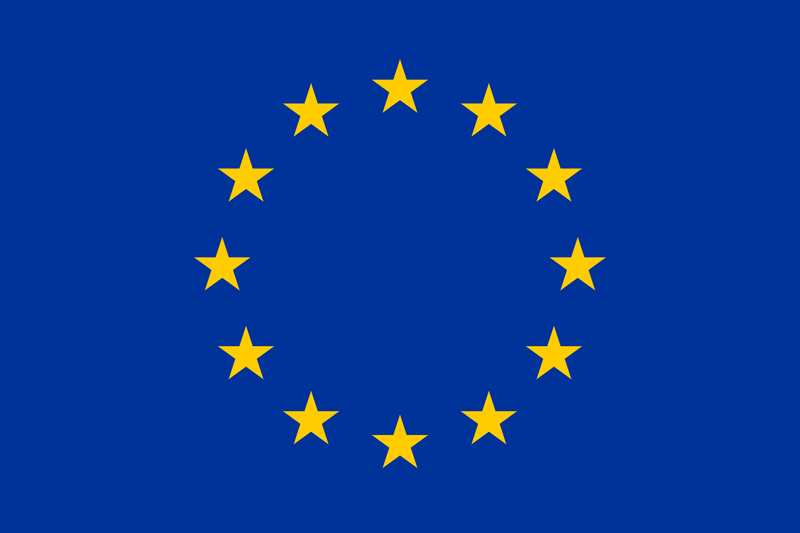 primary, lower secondary or upper secondary education). 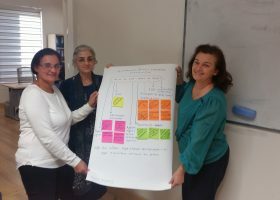 The main goal of the TPD is to introduce and familiarize teachers to the PARRISE approach and support teachers in co-designing and implementing their own SSIBL modules. The TPD also includes the classroom implementations, during which the teachers have the opportunities to implement and evaluate their SSIBL modules. The TPD course is composed of 11 sessions: 5 Face-to-Face sessions (F2F) and 6 online sessions. This TPD expands during a typical school year (e.g. September-June) and adopts a model of teachers as learners, designers, innovators and reflective practitioners. As part of this TPD teachers are divided and are asked to work in different design groups, organized according to discipline and level of teaching (e.g. primary, lower secondary or upper secondary education). 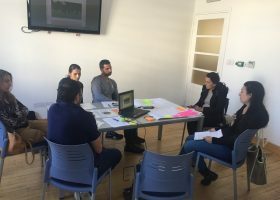 This TPD also includes the classroom implementations, during which the teachers can act as innovators through implementing and evaluating their SSIBL modules. 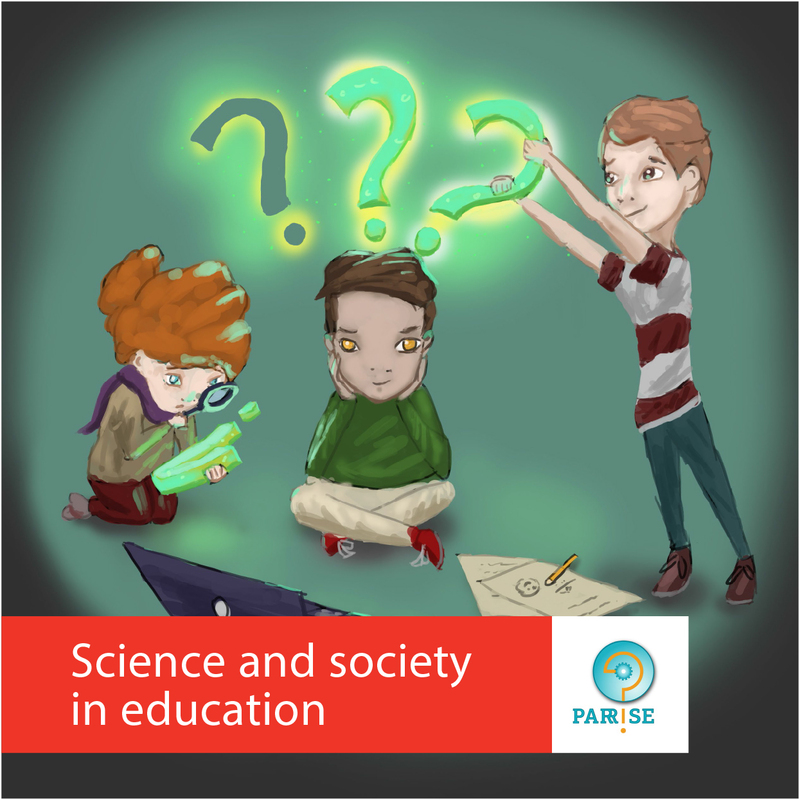 The main goal of the TPD is to introduce and familiarize teachers to the PARRISE approach as well as to support teachers in co-designing and implementing their own SSIBL modules. 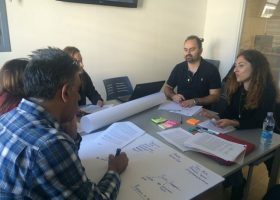 This TPD approach combines experiential learning, occurring during five face-to-face meetings, co-design meetings (mainly online meetings), and continuous reflection activities. Four main aspects of the TPD serve as the main mechanisms for supporting the TPD processes: experiential learning, co-design, the opportunity to enact and assess the effectiveness of the SSIBL implementations, and continuous opportunities for reflection. Q1: To what extent do the learning materials developed by the teachers address the SSIBL pillars? Q3: What is the impact of the SSIBL-based student materials, developed by the disciplinary teacher groups, on students’ motivation and active citizenship dispositions? Q4: What is the impact of the TPD, on teachers’ confidence to implement the SSIBL framework? Our findings were positive for all the evaluation questions posed, ensuring the efficiency of the proposed TPD model.